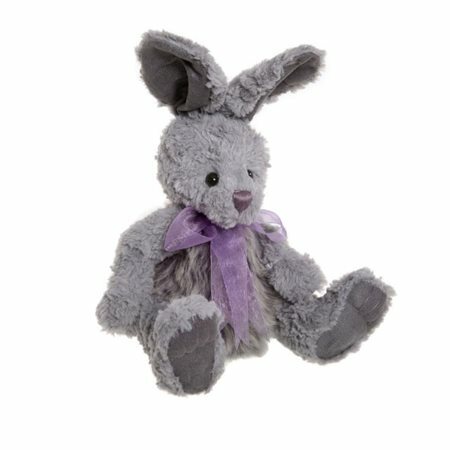 Jump the Bunny Rabbit by Charlie Bears is a cute little fella with long, floppy ears and eye-catching organza bow. In Charlies words - With his eyes firmly fixed on that plate of biscuits, Jump is going to have to do some serious bunny jumps to burn off the calories! Jump the Bunny Rabbit by Charlie Bears is a cute little fella with long, floppy ears and eye-catching organza bow. In Charlie's words - "With his eyes firmly fixed on that plate of biscuits, Jump is going to have to do some serious bunny jumps to burn off the calories!"